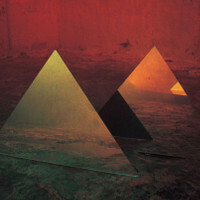 Since the birth of BRONCHO in 2010, the group have made incredible strides with every album in developing a sound so unique and avant-garde, leading to their strongest release yet in the form of new LP ‘Double Vanity’. The band initially started as a solo film project of front man Ryan Lindsey, when he was asked to write music to an early ’80s inspired punk film. He ended up inundated with ideas, and with help from bandmates Ben King, Nathan Price and Penny Pitchlynn turned it into something more. This eventually led to BRONCHO’s debut LP ‘Can’t Get Past the Lips’ in 2011. Made up of 10 short songs extremely reminiscent of the late ’70s/early ’80s UK punk scene, complete with spoken word and shouting vocals, fast and simple chord progressions, and song titles like ‘I Don’t Want To Be Social’, ‘Record Store’ and ‘Losers’. Moving into their second album ‘Just Enough Hip To Be Woman’, BRONCHO began experimenting with hooks and melodies, which sat perfectly over their pre-established fast-paced, fuzzy guitar-driven punk rock. The album saw great success: single ‘Class Historian’ spent over a month on the playlist at BBC 6 Music, following many accolades from the likes of NME, who labelled the album “fresh and invigorating” and Consequence of Sound, who said it was “unequivocally strong”. Which brings us to their third and most recent album, ‘Double Vanity’. The Oklahoman quartet have experimented further with melody and have even added harmonies to give more emotion. They’ve also simultaneously pushed the boundaries of punk, garage, emo and ambient music. Vocals soaked in reverb and guitars creating a haze of atmospheric garage rock, the music sluggishly moves along with what seems like no conviction, and little technical ability .The songs still hang around very average 1-4-5 and 2-5-1 chord progressions and the drums are so simple, it seems pointless having a drummer at all. Yet, the deeper into the album you get, the more you begin to notice the moments of beauty employed by Lindsey and co. in writing the album. The added textures that decorate the sound, the harmonies used in strengthening each melody, the song structures and intelligent use of ideas is what makes the music so beguiling. Opening track ‘All Time’ wastes no time introducing the hypnotic feel of the album, as both guitars and bass fall into the first chord in unison. They continue to move as a unit throughout the whole song, sluggishly sliding from chord to chord rather than hitting them exactly on the beat. Accompanied by a ‘Little Drummer Boy’-like drum beat, it begins the album with a very slow burn. In their previous albums, such a start would have seemed out of place. However, given the experimental nature of ‘Double Vanity’, it makes sense that the album begins the way it does. Lindsey’s vocals progress in a way that takes the listener on a journey with an unknown destination, until of course we hit the chorus. Indicated by the shift to a minor tonality with an emotional melody that, mixed with Lindsey’s unique projection, relays a sense of pleading with an almost apologetic undertone. BRONCHO’s genius approach to songwriting is showcased throughout the whole album, as they take ideas introduced previously, specifically their second album, developing them further. Taken together, ‘Speed Demon’ and ‘Fantasy Boys’ is the result of dissecting previous single ‘Class Historian’ and employing the ideas within to two separate songs. The rhythm-orientated vocal hook in ‘Speed Demon’ applies to the lyric “sp-pa-pa-peed pa-pa-peed demon” while ‘Fantasy Boy’ carries the elastic, Beatles-like melody, covered in harmony, over a guitar riff reminiscent of the film Drive, with a more ’80s underground feel. Considering its similarities with previous single ‘Class Historian’, it comes as no surprise that BRONCHO also put ‘Fantasy Boys’ out as a single off the new album. ‘Señora Borealis’ is the definite standout off the album. It bursts in, cutting the album in half with a Kasabian-like quavering, chugging guitar riff and a basic syncopated drum groove, instantly bringing a whole new level of energy. The song marches on in this manner throughout, with very little development in harmony or feel. But texturally is where the song gathers momentum. With each return of the title in the lyrics, “Señora Borealis” brings a slight variation in breathy rhythms soaked in delay underlying in the mix, each time as satisfying as the last. The album is a definite grower. I appreciated it upon first listen, but grew to love it more and more with each subsequent listen. It’s easy to get lost in the wall of sound created by the mass of fuzz, reverb vocals and simplistic drum patterns. However, when each element is taken in isolation, you truly realise how beautiful they are, and how well they work together. Speaking about the album, Lindsey says, ‘Double Vanity’ has more energy than previous albums. It is more of an emotional energy”, which I think sums up the album perfectly. Although the songs may seem to portray an obnoxious musical language on the surface, in the centre, it is a raw and delicate piece of art. The band took many risks in creating the album, demolishing the elements of previous albums that received them critical acclaim and obscuring them to an almost self-sabotaging degree. However, it’s safe to say that the risk undoubtedly paid off. ‘Double Vanity’, the third album from BRONCHO, is out now on Dine Alone Records. BRONCHO are set to go out on a European tour this autumn, starting at Amsterdam’s Indiestad Festival on the 21st of September, then followed by a recently announced UK tour (tour dates listed here). For more coverage on BRONCHO on TGTF, follow this link.